With due respect I wish to seek your urgent intervention in the matter of a serious unprecedented environmental and occupational health crisis with regard to unnoticed asbestos epidemic in our country in general. Even if one asbestos fibre reaches the right place, it causes irreversible damage - leading to asbestosis, lung cancer or mesothelioma. Thirty deaths are caused per day from asbestos-related diseases as per estimates based on US and European studies. According to the 2008 report of the Parliamentary Standing Committee on Science and Technology, Environment and Forests, “A technical person in the Gujarat State Pollution Control Board spares 1.77 days to monitor an industry in a year...while in Maharashtra the person spends only 1.23 days a year. This includes time taken on travelling.” The Committee's Report on the Functioning of Central Pollution Control Board (CPCB) is must set the alaram belling ringing. Underlining the malaise that afflicts CPCB the Parliamentary Committee agrees with the Supreme Court’s monitoring committee on hazardous waste observation that 77 per cent chairpersons and 55 per cent member secretaries in State Pollution Control Boards are not qualified enough to hold the post. How handicapped has our environmental regulatory bodies is best illustrated in the manner in which asbestos is allowed to be used in the country despite the fact that some 50 countries have banned it and even International Labour Organisation and World Health Organisation call for its elimination. Even World Trade Organisation upheld the right of the Europe to ban this incurable cancer cauding killer fiber. In case of asbestos, a carcinogen, India has no policy to discourage its use in textiles, building materials, insulation and brake linings in automobiles. Since the import of asbestos is cheaper than any of its alternatives like poly venyl alcohol, there is no economic incentive to shift to cleaner production. There are alternatives within India also like natural cellulose fibre and a lot of research has been done on it, but there is little budget to promote it in the market. The situation with regard to monitoring of occupational health concerns arising from the ongoing manufacturing of asbestos products is no different. In fact it is worse. The manner in which one of the world's most vulnerable work force in the asbestos and ship breaking industry is compelled to work in degrading, dangerous and highly exploitative condition is a case of outrageous barbarism with active connivance of the government. When the world is preparing and planning to get rid of all forms of asbestos, it makes us look stupid in India to be still importing it, we should devote our scarce resources to prevent the impending disaster by phasing it out as soon as we can. Safer substitute materials for white asbestos are available, they should be considered for use. It is high time Government of India took note of ongoing asbestos exposures of citizens, consumers and workers and took immediate remedial measures. The exposure of construction workers and automobile mechanics for instance defies regulatory control efforts in any country. I wish to draw your urgent attention to the order of Kerala Human Rights Commission that has ruled that exposing Indians to asbestos is a human rights violation. This paves the way for the eventual complete ban on asbestos and its products. On January 31, 2009, the Commission ruled that the government should take steps to phase out asbestos roofing from all schools in the state. As per the survey of U.P. Asbestos Limited, Mohanlalganj, Lucknow and Allied Nippn Pvt Ltd, Gaziabad, (U.P), the lung function impairment was found to be higher in subjects exposed for more than 11 years. This was the result of a Central Pollution Control Board sponsored project entitled "Human risk assessment studies in asbestos industries in India". This has been reported in the (2001-2002) Annual Report of Industrial Toxicological Research Centre, Lucknow. It has also been published in the 139th Report of the Parliamentary Standing Committee on Environment, Forests, Science and Technology and presented to the parliament on 17th March, 2005. Given the ubiquitous presence of the fiber, there is no alternative to getting it banned in right earnest. 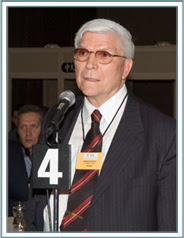 Scientists, doctors, public health researchers, trade unions, activists and civil society groups has been working to persuade the Governments to give up its consistent and continued pro-asbestos industry bias and lack of concern for the asbestos-injured who die one of the most painful deaths imaginable. I wish to draw your attention towards the Government of India's submission made in August 2006 in its Report to the Supreme Court by Dr Prodipto Ghosh, then Secretary, Union Ministry of Environment and Forests and Chairman, Technical Experts Committee on Management of Hazardous Wastes took note of asbestos victims and cites the "Medical Examination of the Asbestos Handlers" by a team of National Institute of Occupational Health (NIOH) that concludes, " The X ray examination by NIOH showed linear shadows on chest X rays of 15 (16 %) of 94 workers occupationally exposed to asbestos. These are consistent with asbestosis…"
Although the Supreme Court of India has ruled that the Government of India must comply with ILO resolutions, so far the ILO resolution (June 14,2006) stating "the elimination of the future use of asbestos and the identification and proper management of asbestos currently in place are the most effective means to protect workers from asbestos exposures and to prevent future asbestos-related disease and deaths" has not been acted upon. 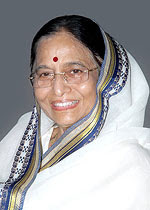 Earlier on August 18,2003, the Union Minister of Health and Family Welfare and Parliamentary Affairs informed the Parliament that: "Studies by the National Institute of Occupational Health (NIOH), Ahmedabad, have shown that long-term exposure to any type of asbestos can lead to development of asbestosis, lung cancer and mesothelioma." 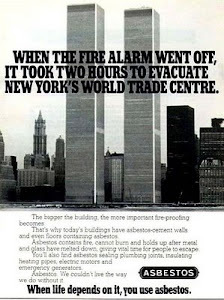 This was not the first official acknowledgment of the asbestos hazard. Government of India's Office Memorandum NO.6 (6)/94 - Cement, (Sept 1, 1994) of the Ministry of Industry states: "The Department has generally not been recommending any case of Industrial License to any new unit for the creation of fresh capacity of asbestos products in the recent past due to the apprehension that prolonged exposure to asbestos leads to serious health hazards". Public health researchers, civil society groups, trade unions and human rights groups have demanded an immediate ban on all uses of asbestos including an immediate end to the import of chrysotile. They seek measures to identify, compensate and treat the asbestos-injured and regulations to minimize harmful exposures are also being proposed. They demand criminal prosecution of those responsible for asbestos exposures such as factory owners and company directors. Although non-asbestos technology certainly exists in India, in fact in some factories the two technologies exist side-by-side, consumers will inevitably opt for the cheaper product: more demand will translate into higher sales which will generate more chrysotile rupees that can be used to obtain an eve\of political support. 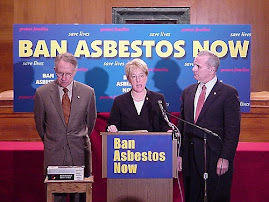 As the quid-pro-quo relationship between Government officials and asbestos businessmen exists outside the media spotlight, journalists and the public remain unaware of the pernicious reasons which motivate the decisions being taken; decisions which will expose current and future generations to the deadly asbestos hazard. The pattern of asbestos disease in India is all set to follow the diseases pattern seen in the developed countries. Concerned with the global and national evidence about the increasing death toll of asbestos workers, trade unions, labour and environmental groups have sought immediate phase out of chrysotile asbestos. In India asbestos is still used in the manufacture of pressure and non-pressure pipes used for water supply, sewage, and drainage, packing material, brake linings and jointing used in automobiles, heavy equipment, nuclear power plants, thermal power plants amongst others. Despite the fact that the World Trade Organisation has given an appropriate judgment against it, upholding France's decision to ban import of asbestos from Canada, successive governments in India have promoted this killer mineral fibre ignoring public health. World over almost forty countries have already banned asbestos, says H Mahadevan, General Secretary All India Trade Union Congress (AITUC) & Vice-president, National Safety Council. Dr S R Kamat, a renowned lung specialist was bitter at the "utter callousness of employers", the total lack of medical expertise and government inaction; all of which continued to put workers at risk of contracting asbestos-related diseases. In the 5 surveys done in the country, large number of the subjects showed asbestos lung diseases. All of them showed breathing problem, many had cough, some had sputum, chest pain finger clubbing and chest pain. Disability in such cases are permanent, progressive; means of compensation are meager, informs Dr Kamat. 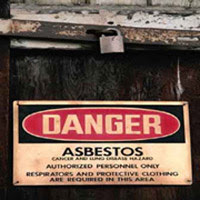 White asbestos continues to be in use in India although other kinds such as blue and brown asbestos are banned. Asbestos is being promoted freely in our country whereas the developed countries are keeping away from it. According to recent studies in United States there 10, 000 deaths happening due to past asbestos exposure and will cause million more deaths worldwide. This has been corroborated by studies published in the British Medical Journal. "The most vulnerable and affected people are the workers in asbestos manufacturing units who work under extremely hazardous conditions," said P K Ganguli of Centre for Indian Trade Union. Taking note of the fact that public concern, regulations and liabilities involved have ended the use of asbestos from the developed countries, delegates at a Round Table wondered, "why is it that the concern of the countries, which have banned asbestos not relevant to India?." Exposing workers to asbestos must be equated to murder and legal provisions must deal with it accordingly. How many consumers would want to use the material if they know that even a single exposure can cause cancer? "Experimental as well as epidemiological studies proved asbestos as carcinogen as well as co-carcinogen. Risk assessment and control of occupational exposure are very poor in developing countries like India," said Dr Qamar Rehman, a renowned toxicologist. Corroborating it Raghunathbhai Manwar of Occupational Health and Safety Association, Ahmedabad said, "There are no industrial physicians and virtually no occupational health centres, whatever the rules may say." exposure in builders and mechanics is alarming. Delay in stopping asbestos use is a victory for those who do not wish to put health and the environment ahead of commercial interests. 1. 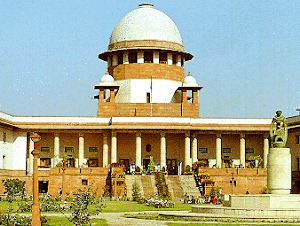 Request you to ensure that Rashtrapati Bhavan be made asbestos free at the earliest & urge you to put an end to the use of the of all kinds of asbestos products that is being used and encountered daily, because none of the schools, offices, legislatures, courts, hospitals, automobiles, private and public buildings in our country are asbestos free in our country.